This medium size cutting board is perfect for every day use in the kitchen. All of our cutting boards are Amish handcrafted from solid wood in the USA. Dutchcrafters sells this lovely piece because of how beautifully made it is and how dependable in the kitchen it is. Get one of these Amish Medium wood Cutting Boards for a family member or that special someone. 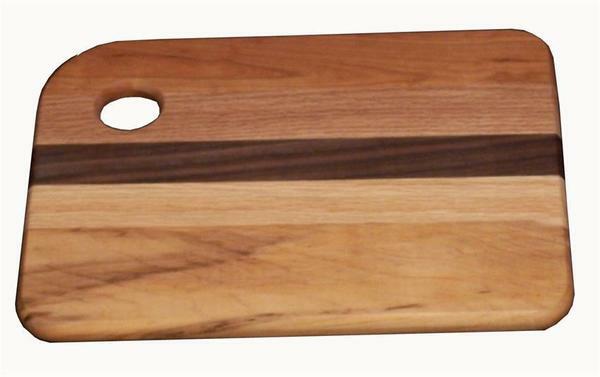 Order today and start chopping veggies on this stunning board. This board is unique because of the different types of wood that the board contains in it. For more information call one of our friendly sales associates at 866-272-8773 or visit our store located in Sarasota Florida. 12.5" x 9" x 0.75"